I don't know how many moms will appreciate a Wienerschnitzel meal on Mother's Day, but maybe there is a dad out there who is taking the kids out for the day to give mom a rest. Make it an even better deal by texting HOTDOG to 21333 and get a free corndog with any purchase. 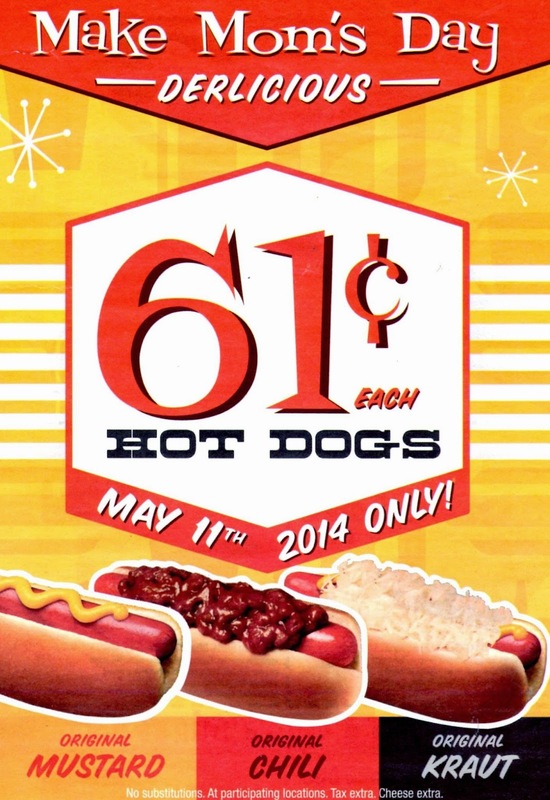 Visit www.wienerschnitzel.com/text_deals for more information.